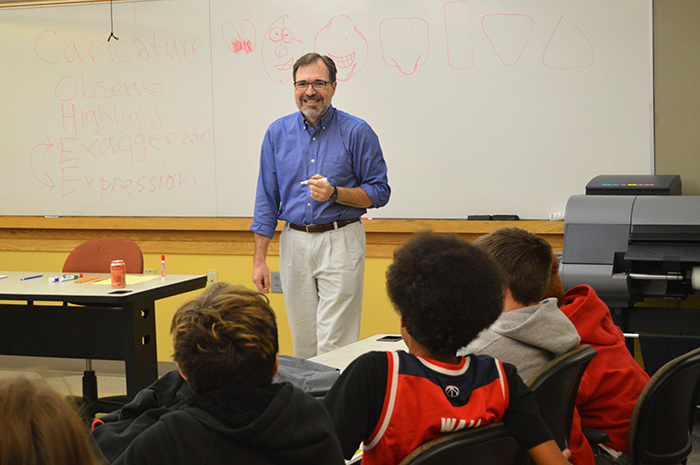 More than 40 eighth-grade students from Vernon-Verona-Sherrill visited Cazenovia College Tuesday. 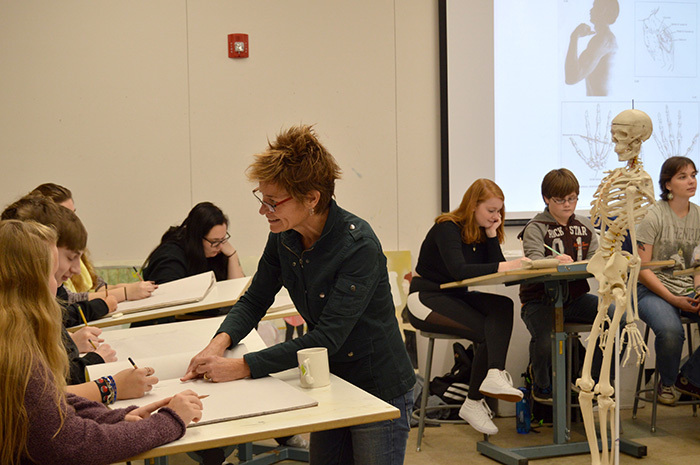 The students had an opportunity to take a campus tour and participate in workshops led by art faculty members Scott Jensen, Kim Waale and Corky Goss. 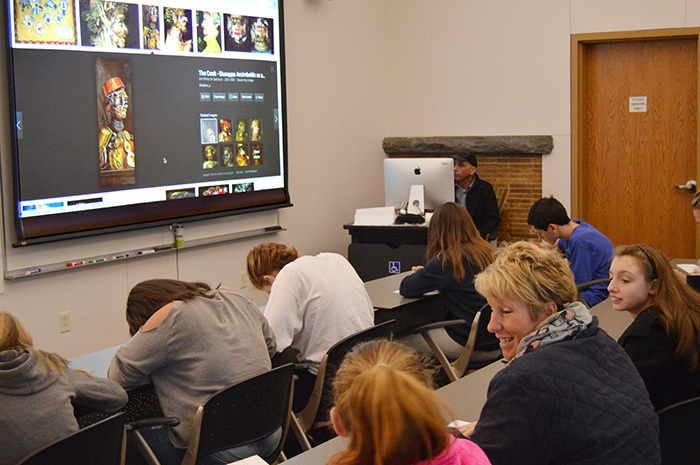 VVS Students learned techniques in cartooning, figure drawing and explored exquisite masks. Cazenovia College Alumna Judith Anderson Whitney ’12 organized this event along with the Cazenovia College Admissions staff. This is Whitney’s second year at VVS where she teaches art and a section of studio art in the middle school. She is also the art club advisor. “Art serves as a catalyst for connection. Through class discussion and critique of artwork, students may find similarities between themselves and others they may not have noticed before. 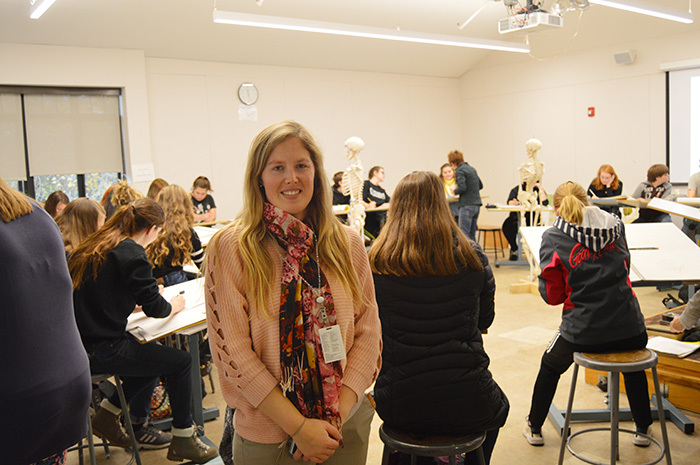 Cultural boundaries are crossed and students are opened up to new ways of seeing,” Whitney writes in in her teaching philosophy published on her Meet the Teacher page of VVS’s website. Whitney graduated from Cazenovia College in 2012 with a BFA in Studio Art and a minor in Art History. Whitney went on to earn her masters in teaching from SUNY Oswego. If you are looking to visit campus, or bring a group to visit, contact our Admissions staff to organize your personal or group visit. 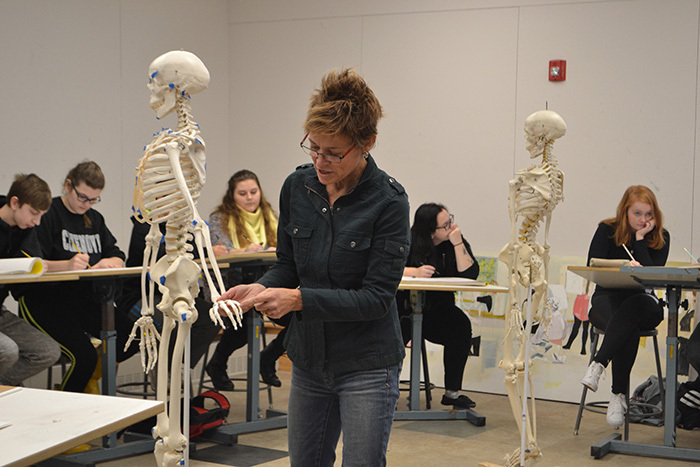 Call us at 315-655-7208 send us an email at admissions@cazenovia.edu. Alumna Judith Anderson Whitney ’12 organized this event along with the Cazenovia College Admissions staff.